If there are three things we can agree on they are this: you’re not drinking enough water, land wars in Asia are unwise, and Protestants – if given the chance – will choose to discuss eschatology over any other theological topic. Over the course of the last eighteen months, I have given several surveys to more than one congregation to find out what sorts of Bible studies they would be interested in: invariably, “the End Times” has always been both the most-voted and the highest-ranked option. The once-raving popularity of the Left Behind series, the recent mishap over the predictions of Harold Camping, and the fact that TBN is still a thing all testify to this: Christians – at least in the West – have the Apocalypse of John on their minds. And its comments about politics are interesting – especially when they are not simply being used to criticize whatever politician you don’t like. Much has been written on the so-called Anti-Christ figure, the Beast out of the Sea in Revelation 13 (perhaps also the “man of lawlessness” in 2 Thessalonians 2 and the “little horn” in Daniel 7), and he’s often thought of as precisely that: a “he.” I’ve recently been preparing to teach a three-week high school course on Revelation that meets daily and was intrigued by what is, to me, a new perspective on the Sea Beast: that instead of referring to a particular individual who leads and corrupts one or more governments, it could simply be referring to a government (or a type of government) corrupted by normal, sinful humans. On this view, any government that moves significantly away from God’s precepts – explicitly or implicitly – become more Anti-Christ-like – an observation that seems correct, regardless of your views on eschatology. 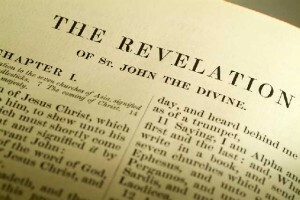 What we see in Revelation is a particularly severe example of this happening, perhaps in a way that dwarfs all previously corrupted governments in history by comparison. Two observations can be drawn from this: 1) Christians owe their ultimate allegiance to the incorruptible God, and 2) Christians should resist the corruption of any and all political bodies in every Christ-like way possible. Proposition one hardly needs a defense: if there is one thing that Scripture makes clear, it is that God is always our primary concern – properly understood, He literally cannot be anything else. Jesus ranked the commandments clearly with our love for God first, with our love for each other – an element of proper politics – a solid second (Mark 12:30, et al.). Romans 13 clearly points out that the State is “the servant of God.” No sensible Christian will place anything before God on our priority list. The second observation is certainly the more interesting one. While, ultimately, it might be a losing battle (as is every battle against sin if you’re not Jesus), Christians should still resist any Anti-Christian spirit (think 1 John 2). Whatever Revelation is precisely trying to say, it is clearly indicating that government-sanctioned attacks on the Bride and the Gospel will only continue to grow – but it nowhere requires Christians to sit idly by and watch such persecution happen. In fact, in Matthew 24 Jesus commends the servant who will be faithful to the end – presumably faithful in every way possible. And when talking about resisting political oppression in a democratic society (where the “governing authorities” Romans 13 demands submission to are made up of ourselves and our representatives), how can Christians faithfully ignore their personal agency in the political sphere? Contrary to what some critics might say, it is precisely because Christians do not consider governments to be the highest authority that we should be engaged in them to focus them Heavenwards – not as a substitute for evangelism, but as a precursor. At the very least, our goal should be to optimize the environment wherein the Gospel might be maximally shared insofar as such optimization is possible. Writing off Christian political engagement as a waste of time or focus is as silly as suggesting that we ignore cutting the grass on the football field to just play on it instead. While it is still an option for us, we must use every instrument available to us to spread the Good News. And while it might be a small thing, a vote is still a tool that no Christian evangelist should forget. Because that Beast is coming. And whatever he/it/blah blah blah is, Christianity probably won’t have much of a public voice when he shows up. We should use ours loudly while we still can. Throughout history, this beast comes again and again like the waves of the sea. Recognizing this beastly world empire is necessary if one is to be a true prophet against its violence and greed. True prophets are politically minded and apocalyptically engaged in speaking a gentle voice against the brutal beast.